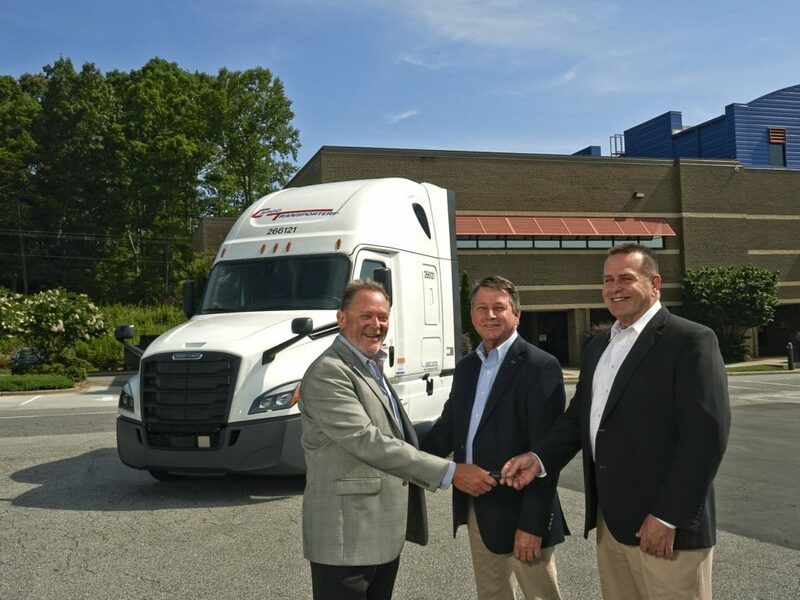 Claremont, NC: Cargo Transporters, Inc. has began receiving order of over $17 million for new Freightliner Cascadia® models, which are being produced at Daimler Truck North America’s (DTNA) Cleveland Truck Manufacturing Plant located in Cleveland, NC. Cargo Transporters is a truckload carrier operating 525 trucks serving the continental US. Based in North Carolina, the company operates terminals in Claremont, Charlotte and Rocky Mount. The company employs over 700 people.